About ILead » How do I get involved? Check out Yee Wei Fong’s ILead Involvement! Yee Wei’s First Year Design team fell apart midway through the term. He found working in teams and communicating persuasively the toughest challenge. Yee Wei learned that U of T Engineering offered leadership courses that tackled just these issues. So in his Second Year he took APS443: Leadership and Leading in Groups and Organizations – now APS343: Foundations of Engineering Leadership – taught by ILead Director Prof. Doug Reeve. In this class Yee Wei learned to manage team relationships better among other great lessons that he uses to this day. If this sounds like you, learn more about our academic courses at both the undergraduate and graduate level. Undergraduates can take three or more leadership courses to earn the Academic Certificate in Engineering Leadership. 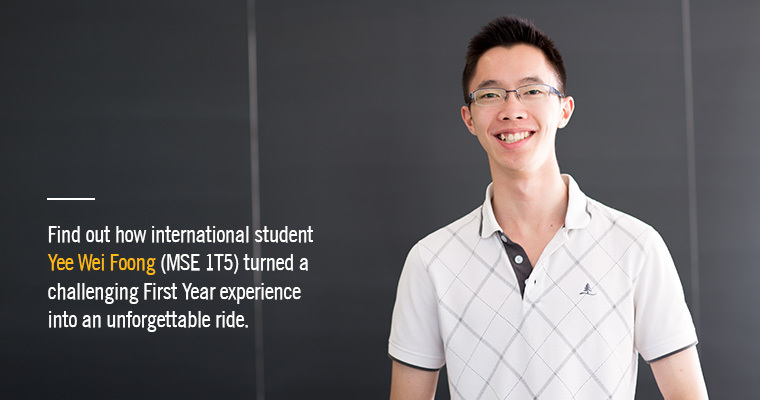 Yee Wei wanted to learn more about effective leadership to hone his skills further. But his course load was already full. So Yee Wei decided to take part in some of ILead’s co-curricular programs, focusing on topics like team skills and organizational leadership. These workshops were offered outside of class time and easily fit in his schedule. If this sounds like you, learn more about our co-curricular programs. Your completion of these programs can be recognized in your Co-curricular Record. Yee Wei wanted a new challenge. He learned lots in the courses and certificate programs and was ready for the next hands-on experience. So Yee Wei participated in student leadership groups sponsored by ILead. New in 2014-2015, these leadership groups have evolved into a friendly competition called, The Game. You too can carve your own leadership path. Still not sure what’s right for you? 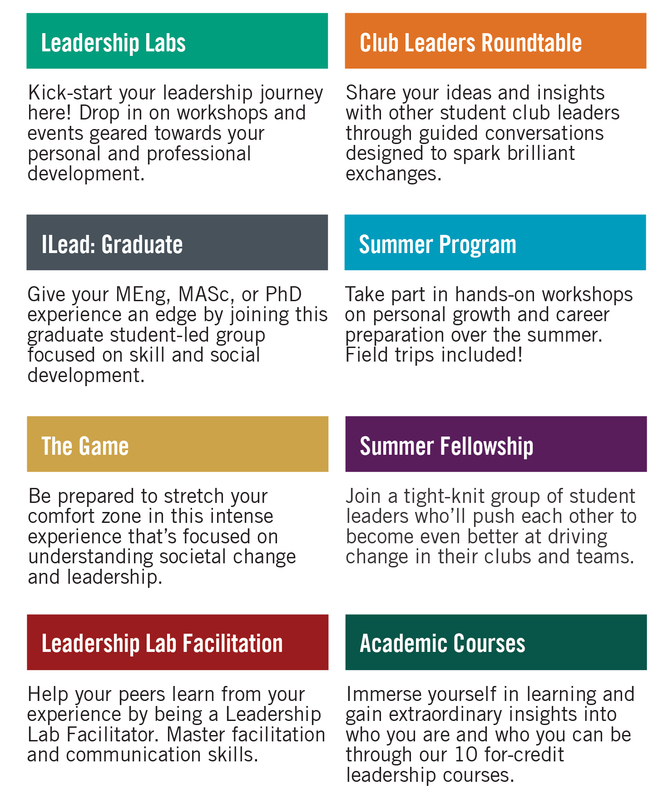 Send us an email at info.ilead@utoronto.ca.